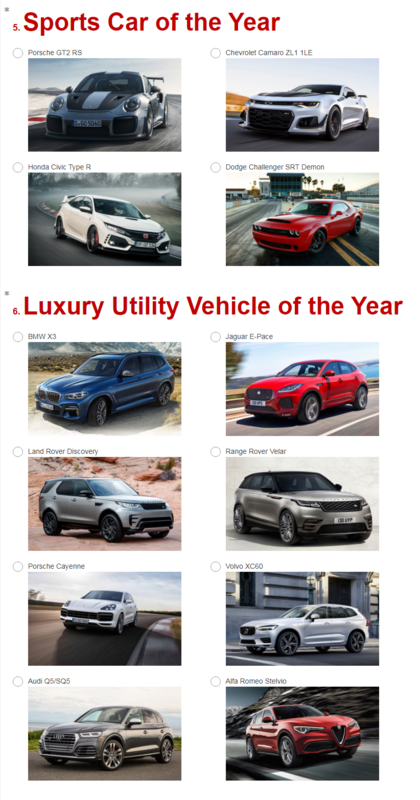 If it's "Reader's Choice" shouldn't the readers be able to choose from any car and not just a few cars that were picked for them? There's a depressing lack of EVs on that sheet! Also, isn't the Civic Type R more "Sport Compact" or "Hot Hatch" than Sportscar? It's not the same class of car as a Porsche 911 GT2 RS or a Dodge Demon.